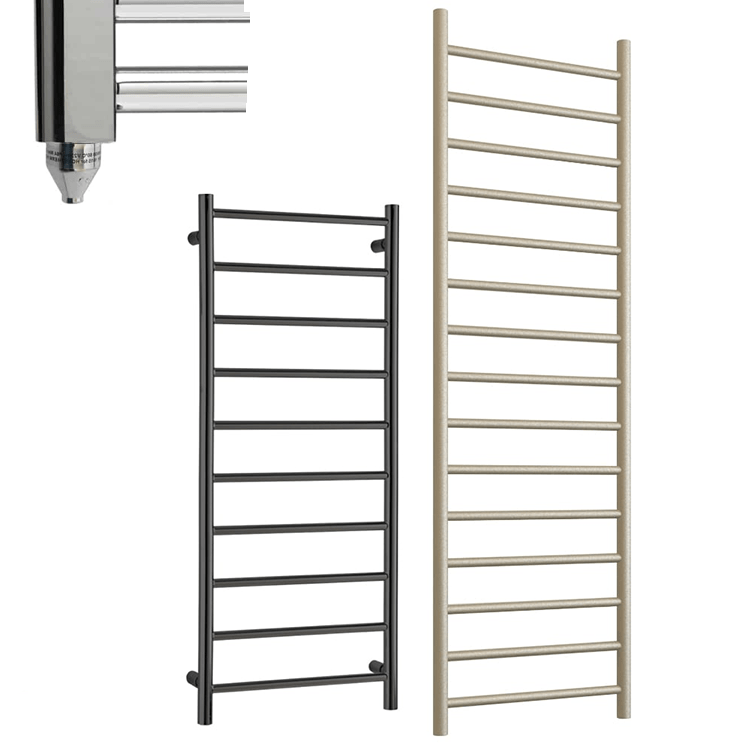 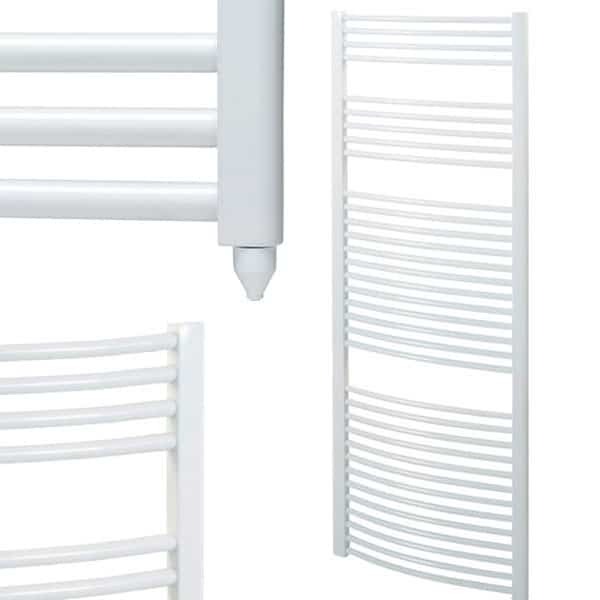 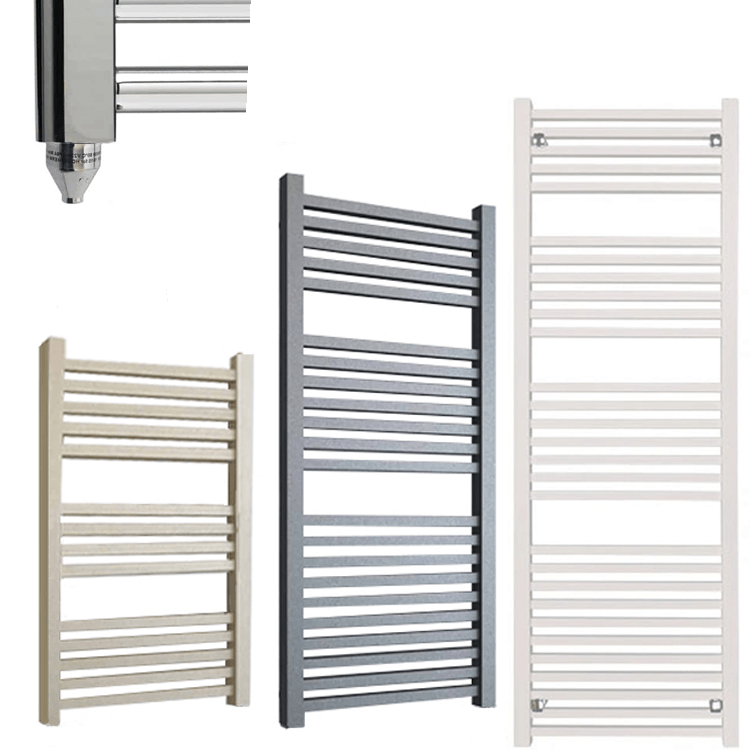 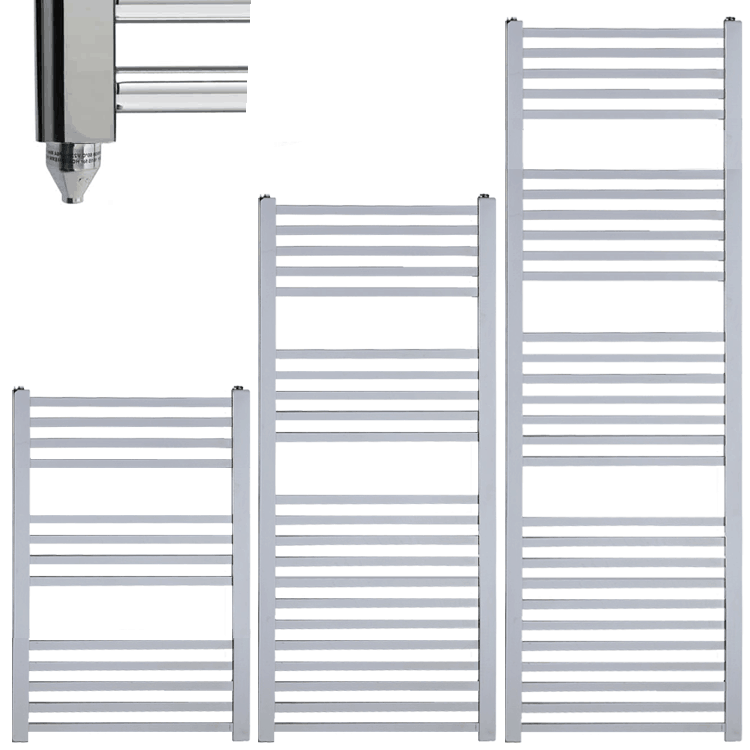 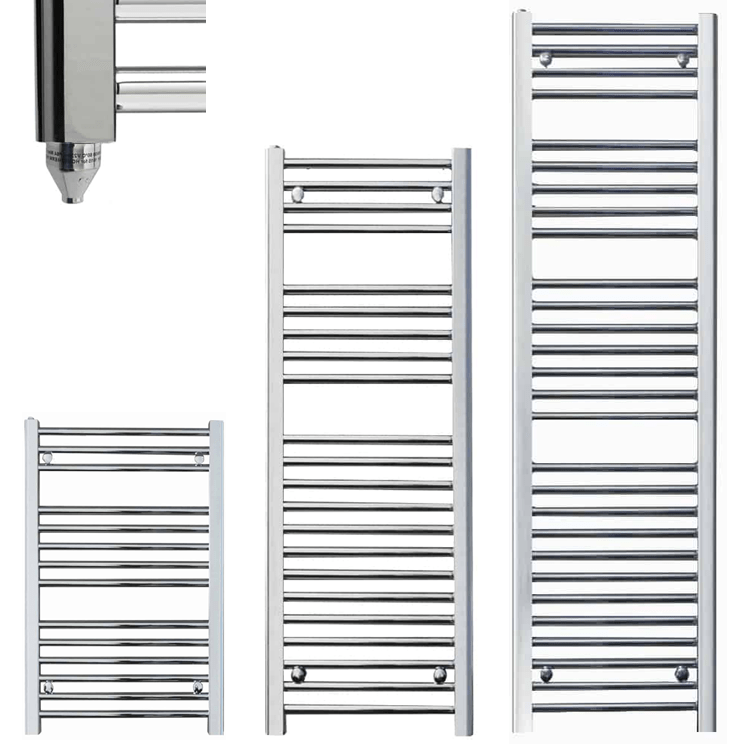 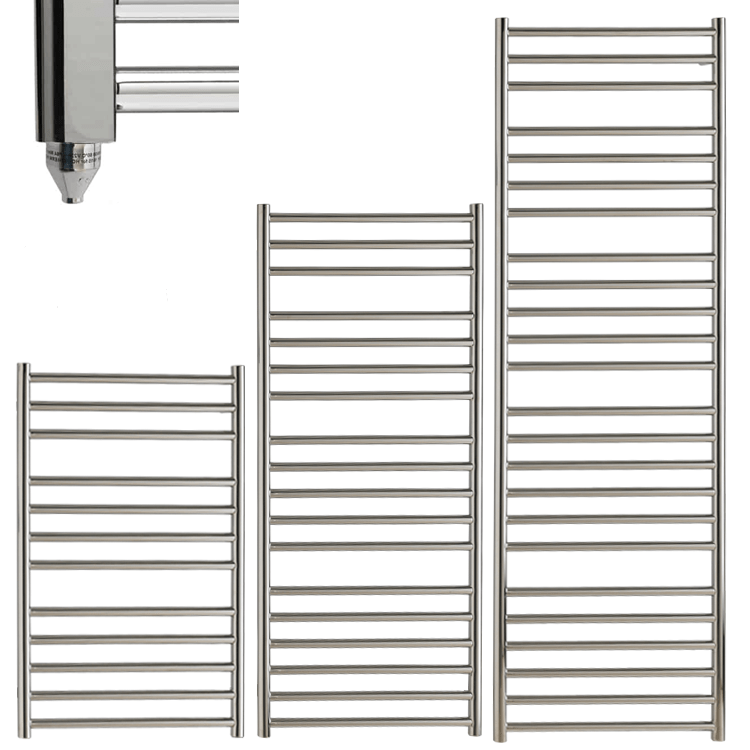 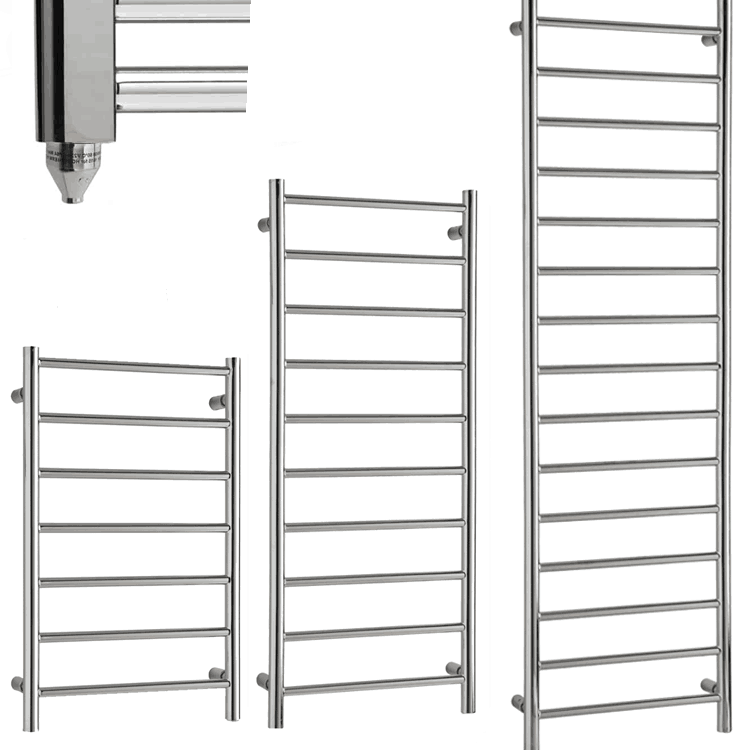 Electric Heated Towel Rails / Warmers / Radiators – Prefilled, fitted with a PTC Element, Splashproof. 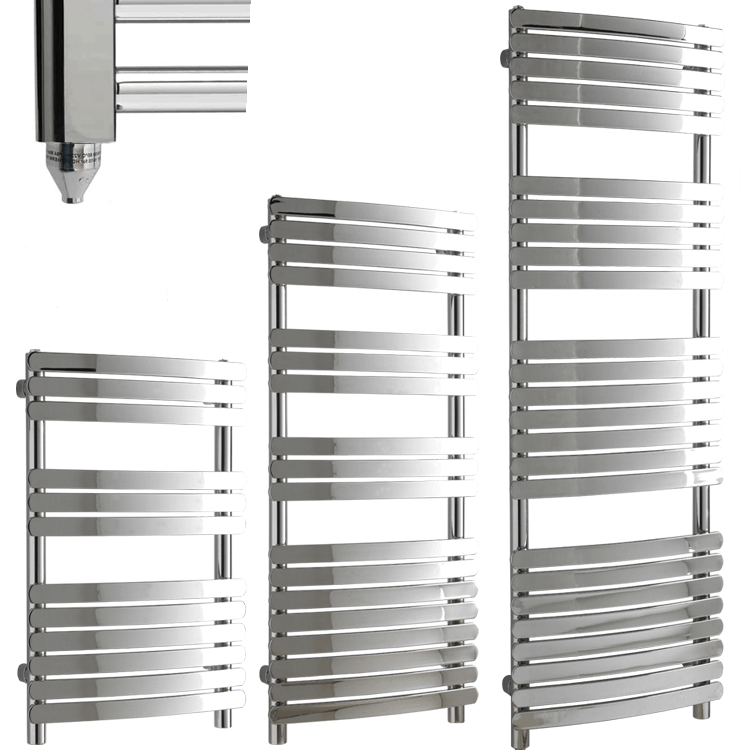 Width: 300, 400, 500, 550, 600, 800 mm Wide. 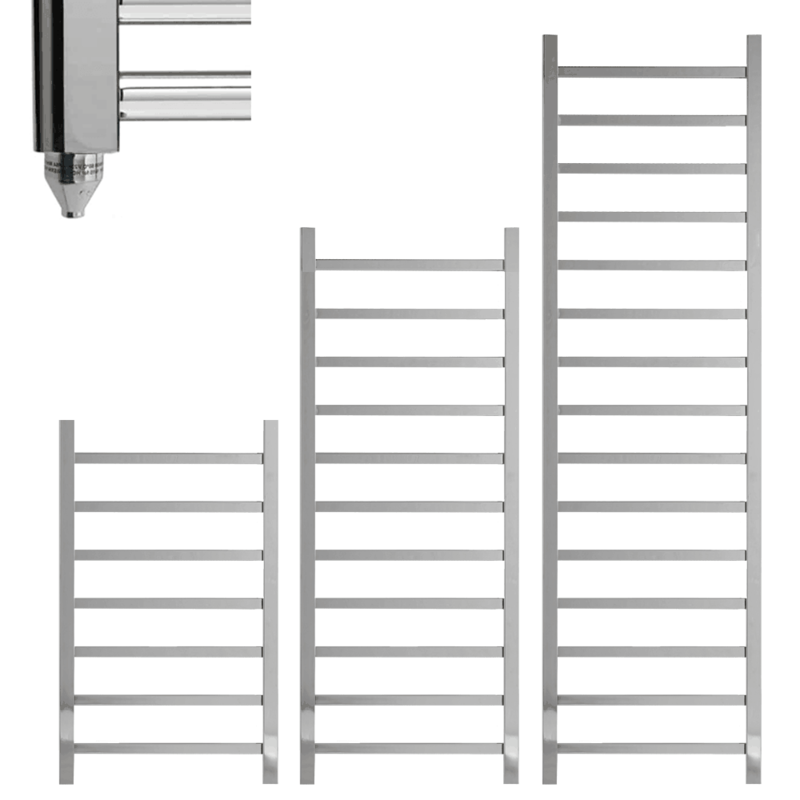 Height: 450, 540, 800, 1000, 1100, 1200, 1400, 1500, 1600, 1700, 1800 High. 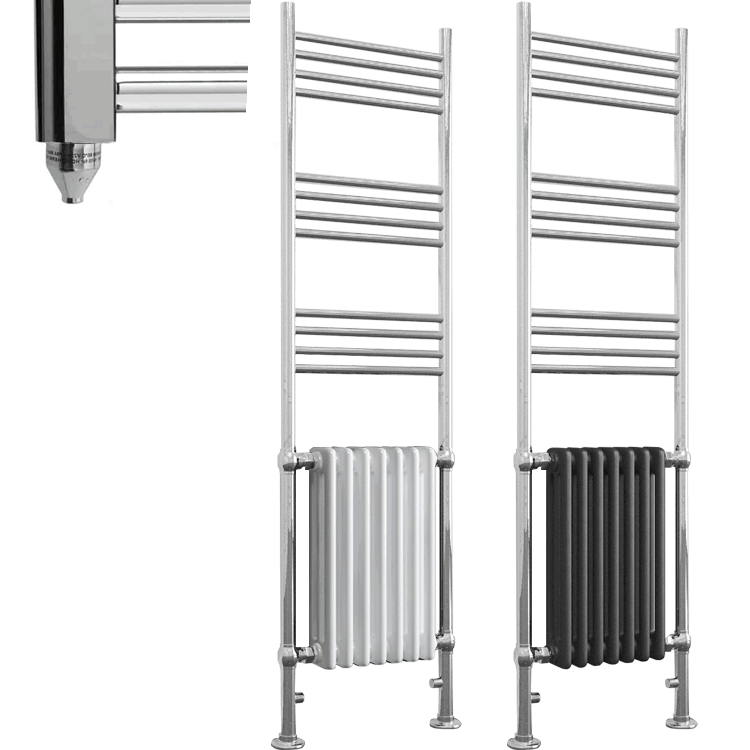 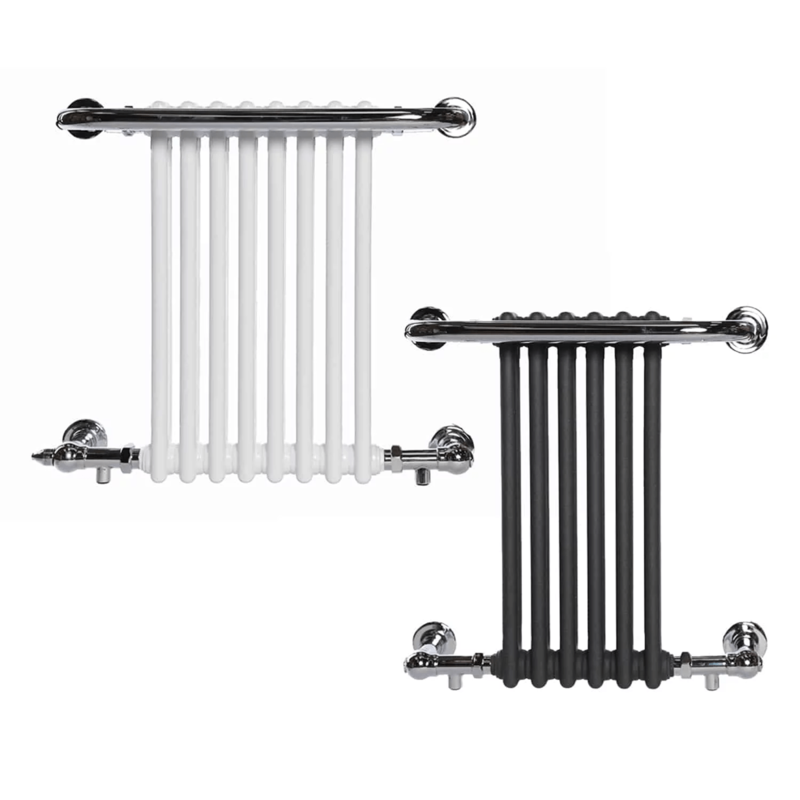 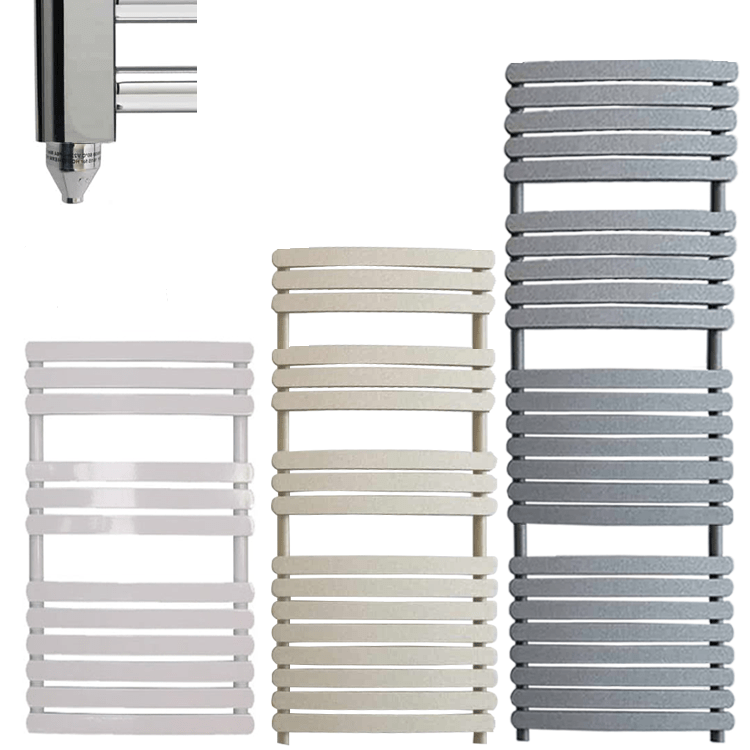 Colours / Finishes: Chrome, Stainless Steel, Black, White, Anthracite, Lava Grey, Beach (Sand) Styles: Designer / Modern / Contemporary / Stylish, Traditional / Column Radiator / Victorian Style, Basic / Standard. 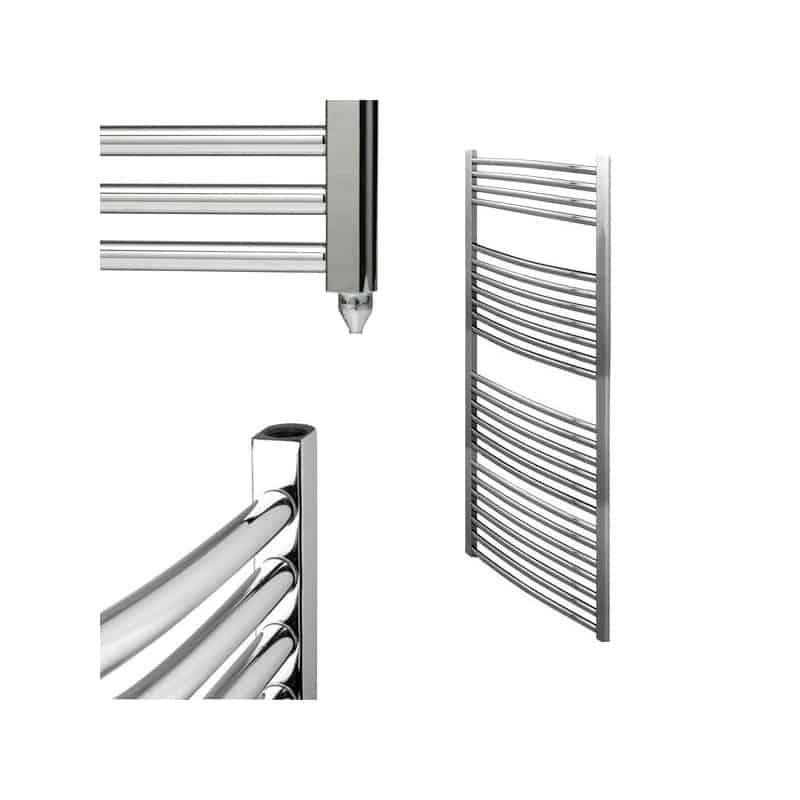 Bar / Tube Types: Curved, Straight / Flat, Square Tube, Round Tube, Flat Panel. 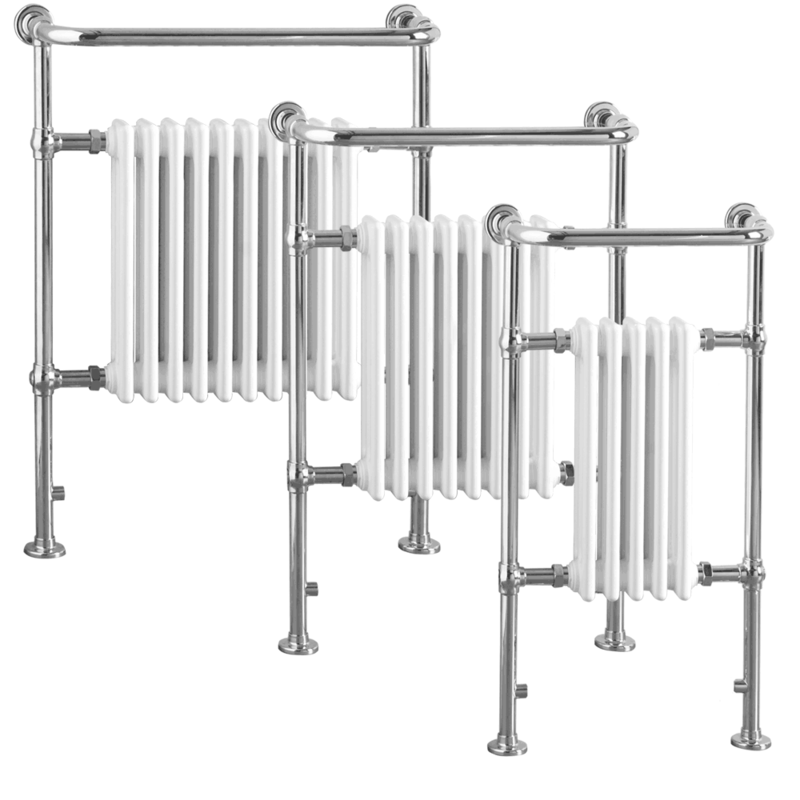 Models: Laurel, Greeba, Bray, Alpine, Ramsay, Duke, Parliament, Braddan, Crosby. 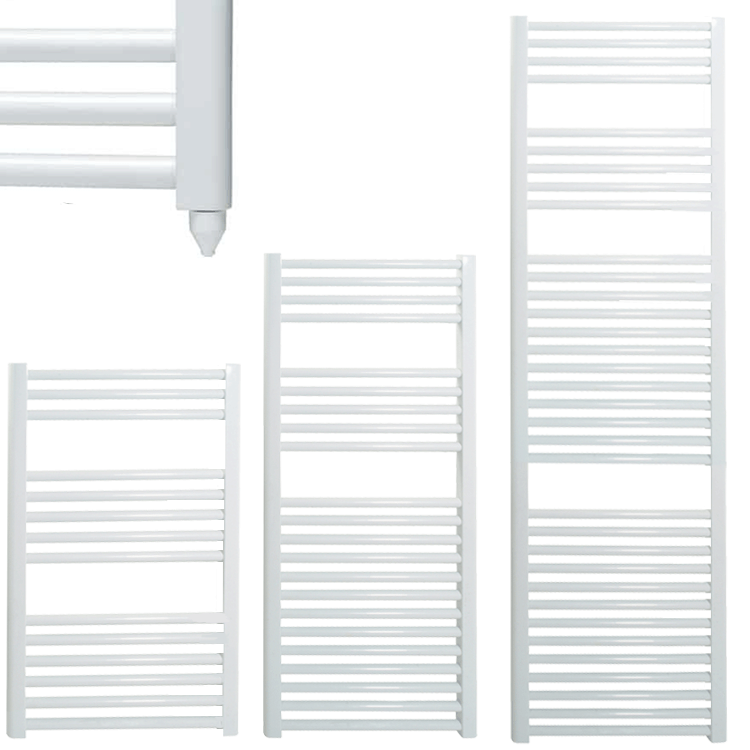 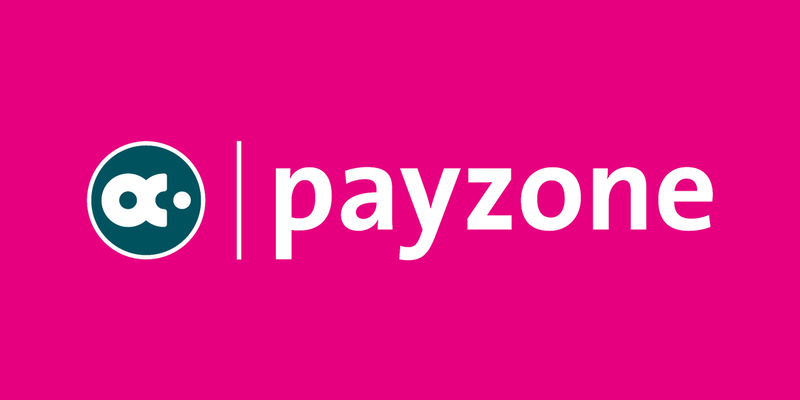 All Sizes – Small / Compact / Narrow, Medium, Large / Tall / Wide. 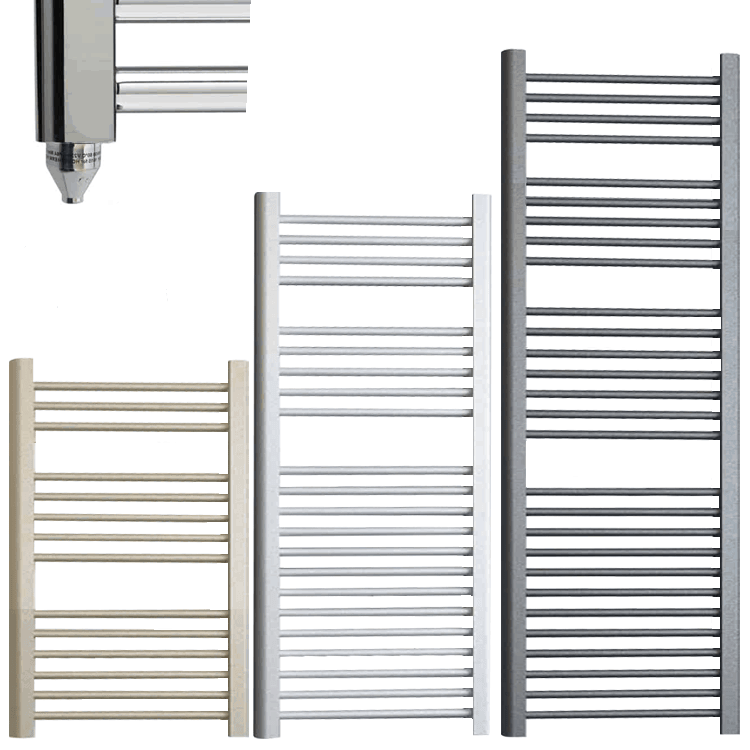 Supplier: Solaire Heating Products Ltd.
Pre filled and with installed electric element.